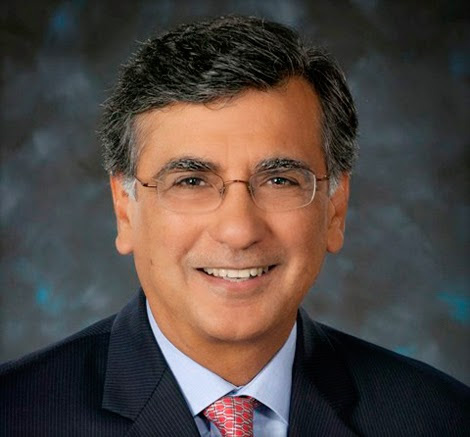 Harish Manwani was appointed a director of Whirlpool Corporation in August 2011. He is a member of the corporate governance and nominating committee and the human resources committee of the board of directors. Manwani is global executive advisor for Blackstone Private Equity Group, a position he has held since February 2015. Manwani is the former chief operating officer for Unilever, a position he was appointed to in September 2011 and held until his retirement in December 2014. Manwani had been the president of Asia, Africa, Central and Eastern Europe at Unilever, a position he held starting in April 2005. He joined Hindustan Lever (HLL) in 1976, becoming a member of the HLL board in 1995 as director responsible for the Personal Products business, with regional responsibility for the Central Asia and Middle East business group. In 2000, he moved to the UK as senior vice president, Global Hair Care and Oral Care, and in 2001 was appointed president, Home and Personal Care, Latin America business group. He also served as chairman of Unilever’s Latin America Advisory Council. In 2004, he was appointed president and CEO of the HPC North America business group, and in April 2005, he joined the Unilever Executive as president, Asia Africa. He is the chairman of the Executive Board of the Indian School of Business, and is a member of the Economic Development Board in Singapore. He serves on the boards of Qualcomm Incorporated, Nielsen Holdings plc., Gilead Sciences, Inc. and Tata Sons Limited. Manwani is an honors graduate from Mumbai University and has a master’s degree in management studies. He also attended the Advanced Management Program at the Harvard Business School.